It’s not every day you get to see one of your heroes live. 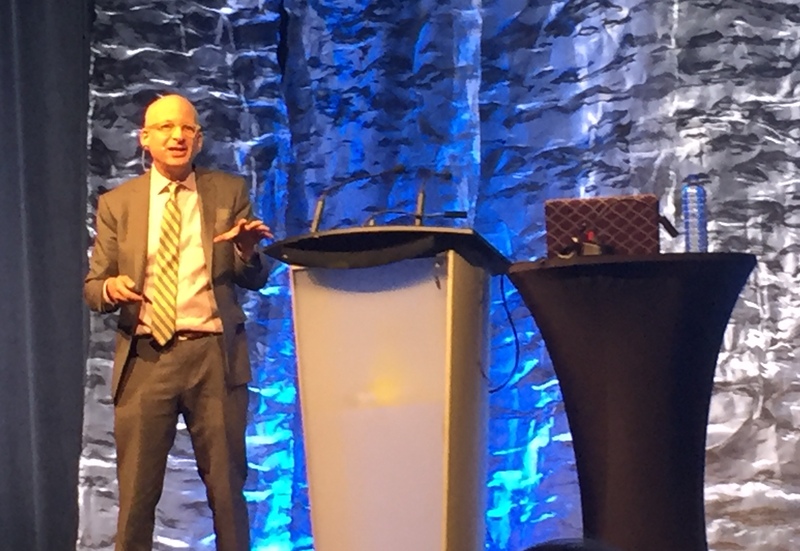 Last month, I had the privilege of hearing Seth Godin live. If you are in marketing or communications, you know the name Seth Godin. Marketing guru, brand revolutionary, author of 18 best-selling books and changemaker. This is Seth Godin. Screw E.F. Hutton. When Seth Godin talks, people listen. In his opening keynote, Seth talked about the power of communication to connect people and culture. He said most organizations are at a crossroads. We are living in an age of distraction. We need to be telling human-centric, emotional stories to cut through the noise. My favourite business mantra is “strategy eats culture for lunch” (Peter Drucker). You can strategize all you want, but if what you are trying to achieve goes against the culture of an organization, you will fail. And yet many leaders do not pay close enough attention to culture within their organizations. You can’t fake culture. Honour your past; define your future. Make symbolic changes, big and small. Have all oars in the water. Be humble, stay the course. We are experiencing a revolution, and a renaissance for business communicators who will be key strategic advisers in the age of information. This week’s #HappyAct is to find a hero and learn from them. Or you can adopt mine and sign up for Seth’s blog.